Looking for affordable Bobcat Telehandler forklifts for Sale? Forklift Truck Direct are your one-stop shop when you need to buy Bobcat Telehandler forklifts Essex-wide. We have been in the business for over 20 years, and are recognised in our region as the leading independent forklift provider, so come and see our range for yourself! If you are looking to purchase a new Bobcat Telehandler forklift, your first port of call should be Forklift Truck Direct. Bobcat is a trusted American brand which goes back more than half a decade, so you know what you are getting from one of the world’s most reputable manufacturers. You can expect our Bobcat Telehandlers to perform well in all manner of challenging conditions. They are packed with handy controls which can improve your operational efficiency. Mounted booms are designed for visibility, and you won’t need any specialist equipment when it comes to maintenance. 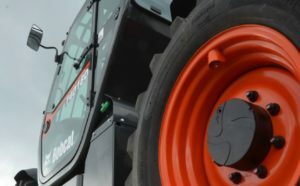 Bobcat is owned by the Doosan company, for which Forklift Truck Direct is an award-winning, leading distributor. That means you can count on us to provide budget-friendly prices when you purchase a Bobcat Telehandler forklift in Suffolk, as well as stock all the latest models. Bobcat Company share our own values which are based around customer satisfaction, and the company’s worldwide profile – from North America to Europe and Asia – is a testament to how much they are valued by businesses globally, across a huge range of industries. If you want to take advantage of Bobcat Telehandler forklift sales Suffolk, we invite you to get in contact with our friendly team of professionals today by calling 01245 322252. Not only will our team be able to take you through the key benefits of all our Bobcat models, but they will also be able to advise on the best model to fit your objectives.